I have designed and built many shelves in the style shown all of which which have proved extremely versatile for both storage and display. 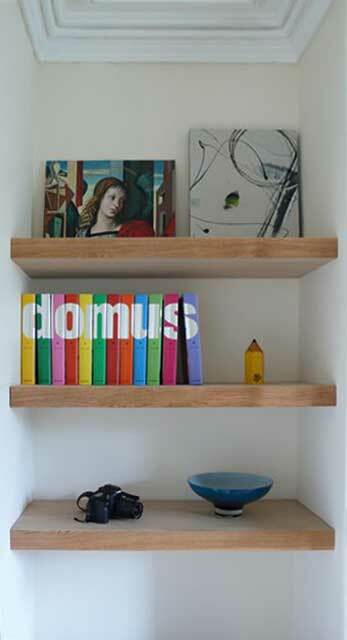 The fixings are hidden within the shelves which can be customised to fill any alcove or space. The finish and type of wood can be specified by the client. The ones shown have a solid oak facing which coordinated with the door and flooring in the client's house. In all cases shelves can be designed to individual requirements, just ring or e-mail for details.